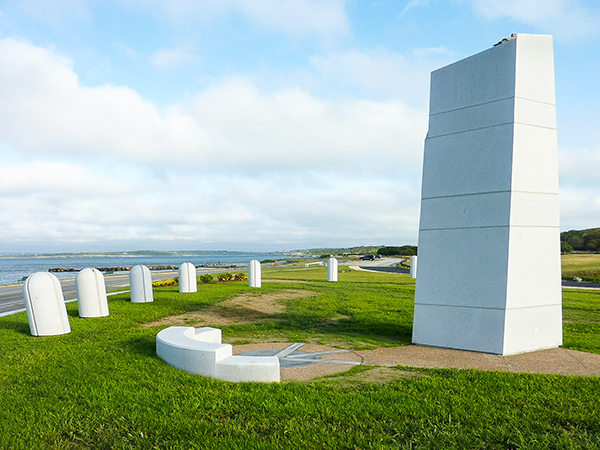 Situated within Brenton Point State Park on the southern tip of Aquidneck Island with expansive views of the Atlantic Ocean, this monument on Ocean Drive is dedicated to Portuguese maritime navigators. Brenton Point was a strategic military defensive location during the Revolutionary War and World War II. The State of Rhode Island designated the area a State Park in 1976. 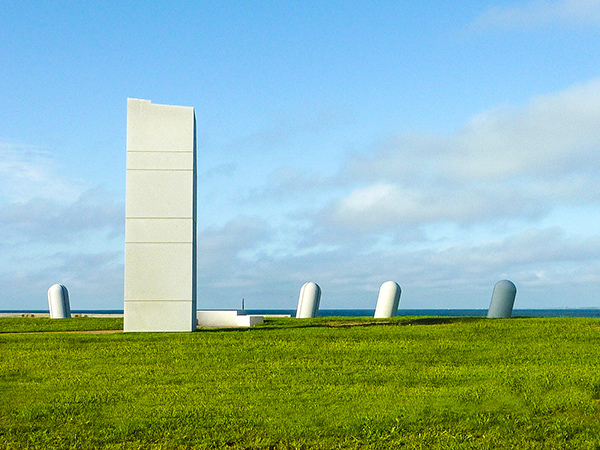 In 1988 a site was set aside for a monument, a concept advanced by the Portuguese Cultural Foundation and the Portuguese Federation. 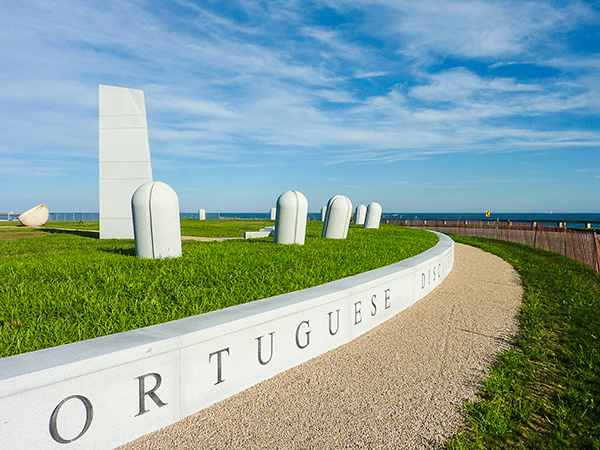 Funded jointly by the State of Rhode Island and the Portuguese government, the Point was selected as it is reminiscent of Sagres in southern Portugal, the location of Henry the Navigator’s nautical school founded in 1419. Designed by Charters de Almeida and carved in Portugal, sixteen sandstone bollards ranging in height from five to eight feet were organized into a semicircle mimicking the historic pebble compass rose at Sagres Point. In the center, an eight-foot-diameter sandstone sphere representing a Portuguese navigational instrument and a twenty-foot-tall obelisk inscribed with names of explorers were erected. The exposed location of Brenton Point eroded the sandstone and the monument slowly fell into disrepair. In 2012 the Landscape Architecture Division of BETA Group was commissioned to reinterpret de Almeida's design. 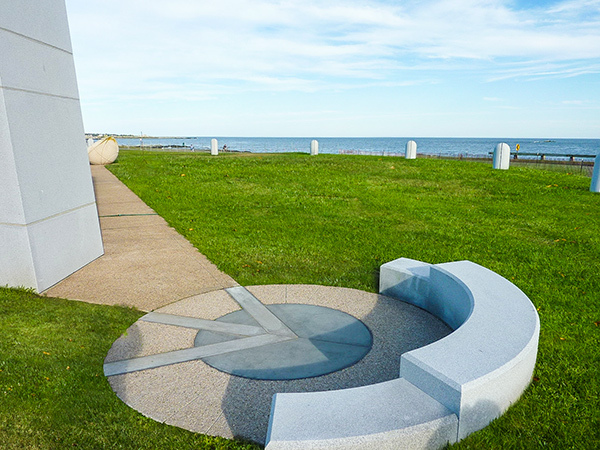 Rededicated in 2014, the expanded version of the original is carved from granite and includes interpretive panels and lines of the compass inset into the ground. 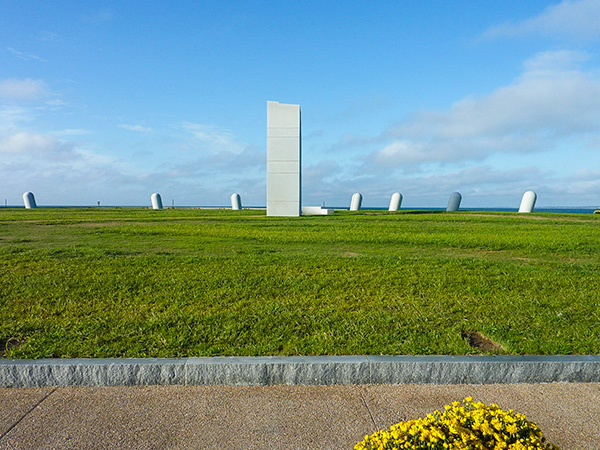 Occupying less than one acre, the monument is set into a grassy lawn on a promontory extending into the sea.